SoCo Music Project are at an exciting stage of their organisational development, and are seeking members to join an advisory board to support our transition to Charity. To read more about our vision and aims read our manifesto. We would anticipate monthly meetings as we transition to become a charity, we would then recruit our Board of Trustees to which we would welcome you to apply should you wish. Our aspiration is to submit our Charity application early next year, with a view to becoming a Charity in April 2019. If you’re interested in finding out more about how you can support SoCo Music Project, please contact Marie Negus (marie@socomusicproject.org.uk or 07988 683 544) for an informal chat. Following which we would invite you to forward a covering letter (no more than 2 A4 sides), detailing why you are interested in becoming part of our advisory board and how your skills/experience will support organisational growth and resilience by Friday 30th November. SoCo Music Project is a non profit music organisation based in Southampton and operating across Hampshire. Started in 2008 by two directors, Matt Salvage and Jon Haughton, SoCo is now an organisation with a regional reach and a reputation for high quality engagement activities. We are at an important stage of our development as we transition to become a charity. As of Spring 2016 SoCo has been steered by a management team of four in addition to six freelance Music Leaders and three volunteers working across project management, strategic development and workshop delivery. With a turnover in excess of £200k per year, SoCo continues to develop engaging music programmes and vibrant creative spaces, supporting social action and creative development through music. 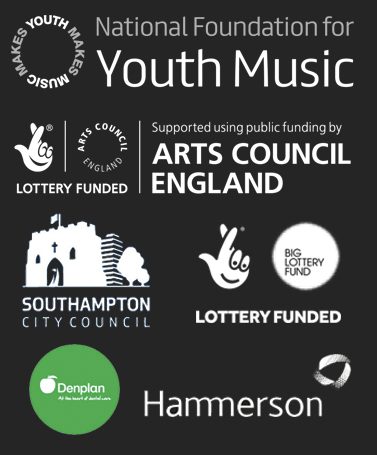 SoCo is predominantly project funded through grants and commissions, we have received funding from Youth Music, Arts Council England, Big Lottery, European Social Fund and Local Authorities. Moving forward SoCo is planning on transitioning to a charity and developing more sustainable income through individual/corporate giving. SoCo Music Project seeks to engage young people (especially those in challenging circumstances) and vulnerable adults in musical activity in order to develop their creative potential, promote cross-cultural understanding and supporting wider social and personal outcomes. SoCo Music Project is a music delivery organisation that is dedicated to using music to transform lives. We work with agencies and organisations to reach out to some of the most vulnerable children and adults using highly skilled music leaders who deliver a diverse range of innovative and tailored creative music-making activities. We inspire and empower individuals at the heart of the community, to have a voice and develop and grow. We also encourage and train others who share our passion to bring about positive life-changing moments through music. These core values capture the essence of who we are and are interwoven through everything that we do as we develop as an organisation and transition to become a charity. SoCo Music Project is excited to announce the launch of SoCo Saturdays, a free music-making programme for young people in Southampton. Every Saturday from 11am to 1pm, SoCo’s experienced Music Leaders will be on hand to support young people to learn and create; with sessions suitable both for those at the start of their musical journey and those wanting to hone their musical skills in performance, songwriting or music production. The sessions launch on October 13th and will take place from The Pavilion in Hoglands Park, Southampton City Centre. For further information about this service, to make a referral, to volunteer or to offer financial support for this project, please contact mark@socomusicproject.org.uk. 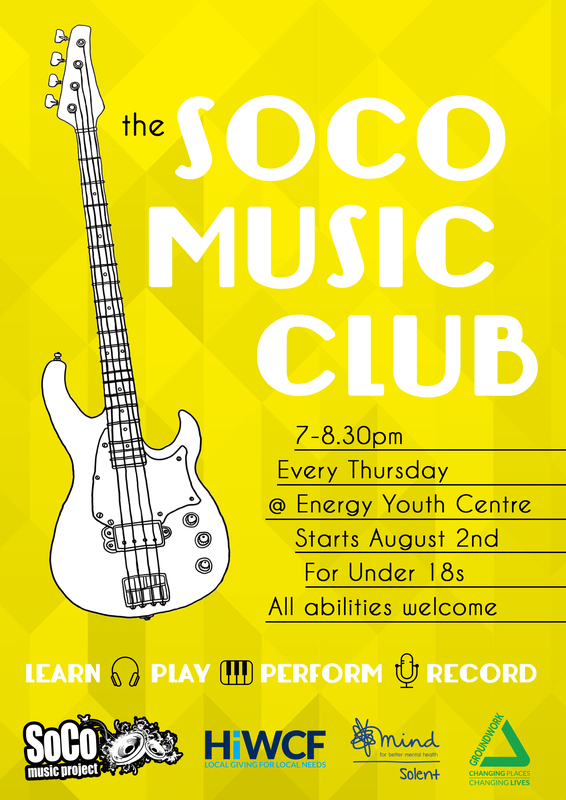 SoCo Music Project is pleased to announce the launch of a new project, SoCo Music Club, that aims to empower young people and support their transition from youth to adult mental health services through music-making and health support and advice. Working in partnership with Groundwork South and Solent Mind, and taking place from Energy Youth Centre, these weekly, open access workshops will provide young people aged 13 to 18 with an opportunity to explore topics around mental health whilst engaging in a variety of music-making activities. Participants will be supported with this through instrumental performance, songwriting, music technology and recording. The project, funded by Hampshire and Isle of Wight Community Foundation, will help bridge the gap between youth and adult mental health services and will run on Thursday evenings from 7-8.30pm starting August 2nd. All abilities welcome – bring instruments if you have them! Three in four mental illnesses start in childhood, whilst 75% of young people with a mental health problem are not receiving treatment. Over half of young people link mental illness with alienation and isolation. For further information about this service, to make a referral, to volunteer or to offer financial support for this group, please contact mark@socomusicproject.org.uk. One in four adults will be affected by a mental health problem in their lifetime. 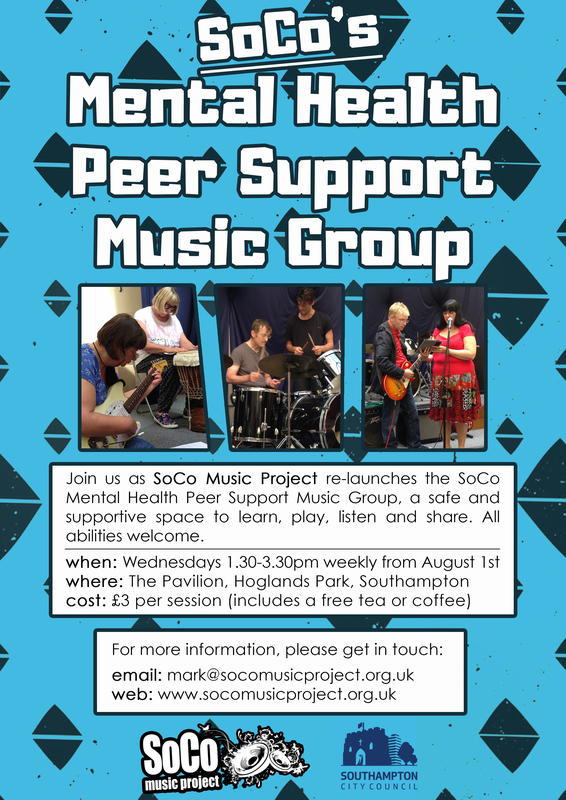 The SoCo Mental Health Peer Support Music Group will provide opportunities for adults to engage in a range of participant-led activities that supports improvements in wellbeing, from music sharing and improvisation to group songwriting and performance. The sessions will run weekly from The Pavilion in Hoglands Park, Southampton city centre on Wednesdays 1.30-3.30pm starting August 1st. The Point, Eastleigh has partnered with SoCo Music Project to support the development of local musicians in a new collaborative venture. The Point’s partnership with SoCo has been growing throughout recent years and in 2017 the organisation became based at the venue. The Foyer Sessions and Anything Funny have since been developed to introduce and promote local new talent in both music and comedy. The Foyer Sessions provide a platform for local artists to perform original music live to intimate audiences at The Point. This Spring The Foyer Sessions will present music from Chateau Bateau Band, Fly Away Peter and Friends and Tenderlore. Tickets are based on a Pay What You Can scheme and start from £2.50, giving as many people as possible the opportunity to attend live performance. Anything Funny provides an accessible platform for local people to develop and try out new material at a fun, relaxed Open Mic Night and at Comedy Lab; a collaborative support network for writers and performers. SoCo Music Project is co-directed by Matt Salvage and Jon Haughton and has been providing vibrant music activity since 2008. The not-for-profit organisation is recognised amongst the leading music delivery organisations in the South, working with young people and vulnerable adults. SoCo Music Project’s vision supports two areas of work: Engage and Elevate. SoCo delivers engaging and life-changing opportunities through music for young people and adults that may face challenges in their lives and are also committed to supporting and nurturing emerging musicians as they try and forge a career in the music industry. SoCo Music works strategically to enhance music-related opportunities for young people and artists in the region. The Point is dedicated to providing opportunities for young talent to flourish and works closely with artists working across all disciplines, developing new work in all forms. Together, the two organisations work symbiotically to create a vibrant and resilient ecology – developing a good model of practice in partnership working that other regional venues and arts organisations can follow. The Point is a regional powerhouse for contemporary performance. In 2018 it launches a new @HOME scheme, introducing a new way of working for artists and audiences, alongside its flagship Associate Artist programme for emerging companies. The venue’s continuing relationship with SoCo opens further opportunities to offer platforms and professional development to more artists from all ages, working across all disciplines. SoCo supports music at all levels, and we’re very excited to be releasing an exclusive vinyl album showcasing the incredible fresh talent in Southampton right now. 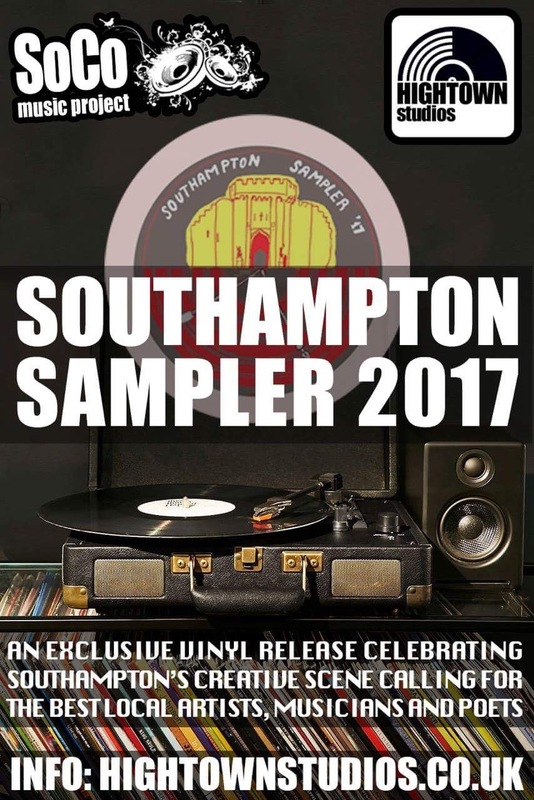 Southampton Sampler VOL.1 is a collaboration project brought to you by SoCo Music Project and Hightown Studios, bringing together musicians and artists to celebrate the diversity of Southampton’s music scene. We encouraged local talent to take part in this opportunity by sending us their best original tracks. In turn, their work was shortlisted from over 100 entries and then judged by our independent panel comprising of renowned members of the music community including Rob da Bank, Emma and Russell from Band of Skulls, Dan Mar-Molinero and Stephanie Nieuwenhuys from BBC introducing. We’re excited to be launching the ten track vinyl at the beginning of December 2017. It’s a fantastic album, mixed and mastered at Hightown Studios, that highlights just how much great music is coming out of the city. All profits go back into supporting music making in the community! The album will be hitting the shelves in December, but you can pre order your copy here. SoCo are delighted to be one of 70 organisations and individuals across the arts, museums and libraries that will benefit from free business support through the Creative United Prosper programme. The cohort includes cutting edge artists, innovative library services, enterprising museums and much-loved arts organisations. Prosper was designed and launched by Creative United with funding from Arts Council England, Access – the Foundation for Social Investment and the Esmée Fairbairn Foundation, and is delivered in partnership with the Centre for Business in Society at Coventry University and the Arts Marketing Association. It will enable those in the cohort to grow and develop into more resilient organisations, better able to attract income from a variety of sources as well as pursue their creative and social missions. Over the next 9 months the cohort will work with a specialist business advisor to tackle areas such as strengthening business plans, empowering their teams with innovation and enterprise skills, identifying new business models and understanding the value of their own assets and intellectual property (IP). They will also have the choice of participating in a range of masterclasses, workshops and webinars designed for all levels – from CEO to project assistants, shop floor workers to trustees. The application period for the programme ran from 27 March to 31 May 2017. In that time 260 organisations, sole traders, local authorities, charities, enterprises and artist practitioners applied from across England. The selected cohort represents companies of all sizes and types, with specialisms including contemporary dance incorporating VR technology, promotion of sub-cultures, youth theatre, clowning, design for the stage, music education, museums of social history and community libraries. 81% are based outside of London. Matt Salvage, Director of SoCo Music Project, said: “The Prosper Programme provides a great opportunity for us to develop as an organisation, building our resilience to ensure we can keep on delivering inspiring and engaging music workshops, activities and events for children, young people and adults across the region. We’re looking forward to being part of this strong cohort of ambitious organisations and individuals, getting the support we need to take us forward into the future”. For more information about Creative United or Prosper please email Sarah Thirtle. 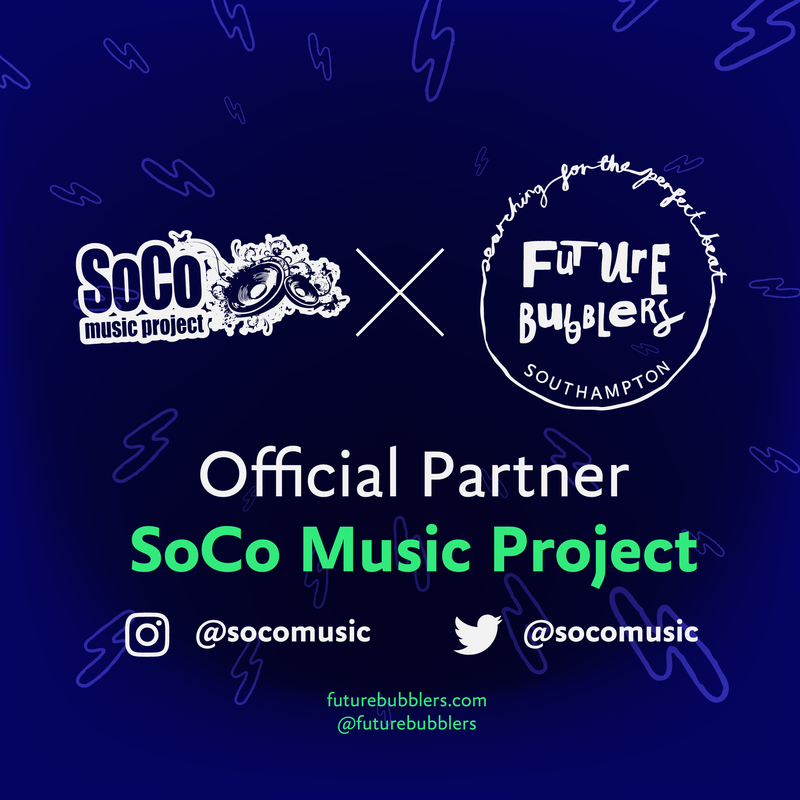 SoCo Music Project chosen as official partner as Gilles Peterson-backed Future Bubblers project announce third year of programme supporting unsigned musicians. Future Bubblers have announced details of the third year of their England-wide talent development programme. Started by London-based, BBC Radio 6 Music DJ Gilles Peterson, it’s a grassroots scheme which complements his independent record label Brownswood Recordings (who are currently celebrating their tenth birthday). Receiving support from Arts Council England, their goal is to develop unsigned talent and build new audiences for leftfield, boundary-pushing music. Following Year 2’s two focus cities of Hull and Sheffield, Year 3 sees the focus shifted to Liverpool and Southampton. The team’s logic behind the focus cities is simple: the more opportunities there are for local, open-minded music makers, the more that alternative, experimental music culture will flourish in those areas. Tapping into those vital local networks (including with partner organisations, listed below), there will be a year-long programme of events and opportunities. For example, the return of popular staples the Future Bubblers Block Party—with their free-for-all daytime admis- sions policy, it’s a way of removing barriers to experiencing new music. The other side of the programme is providing individual support for unsigned musicians. With sub- missions open to any new artists in England, successful candidates are offered a whole range of support. Pairing each with an industry mentor, it ranges from one-to-one production workshops from premiere music software company, Ableton, live Future Bubblers showcases, and — beyond this year — long-term backing as they develop and grow. Submissions for new candidates are open from 3rd July to 18th August. Prospective candidates can enter their submission by heading to futurebubblers.com, or by going to a partner organisation in one of the two focus cities. SoCo Music Project has been delivering engaging and inspirational music making activities in Southampton and Hampshire since 2008. We believe everyone has the right to take part in music making, no matter what your ability, age, background or circumstances. At SoCo we are passionate about changing lives through music… our positive and creative opportunities help people discover something new, learn new skills and nurture their creative potential. In May 2015, the YMCA Youth & Community Centre re-opened providing a community hub for the area, with services for both the community and agencies across a range of ages. There centre is a hub of lots of emerging musical activity. SoCo are excited to be launching The Southampton Sampler, a new vinyl release that will showcase the best music, art and poetry that the city has to offer. Throughout December and January we are asking for bands with Southampton connections to send us their best track. An independent panel consisting of Band of Skulls, Rob da Bank, Steph from BBC Introducing Solent and Dan Mar-Molinaro will select their favourite 10 tracks, which will then feature on the final album. We will also be working with local artists and poets to produce album artwork and liner notes. It’s going to be a fantastic snapshot of the creativity in the city! Southampton Sampler is run in partnership with our sister project Hightown Studios, to get involved and find out more info head on over to the Hightown website.